The Forest Fire Lookout Association (FFLA), National founded in 1990, is an all volunteer organization involved in research of former forest fire lookout sites, ground cabins and early forest fire detection methods. Anecdotes of lookout operators both past and present are documented.The organization encourages efforts of public groups and others in the restoration of historic forest fire lookouts. The California – South Chapter was formed in 2018 to assist sub-chapters, such as the San Diego Riverside County (SDRC) or other organization with similar ambitions in bringing the nationals goals to fruition. 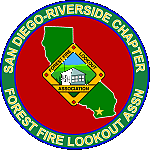 The San Diego-Riverside Chapter (FFLA-SDRC) was organized in 2008 as a nonprofit volunteer organization dedicated to restoring, maintaining and staffing historic fire lookouts in San Diego and Riverside Counties in Southern California. 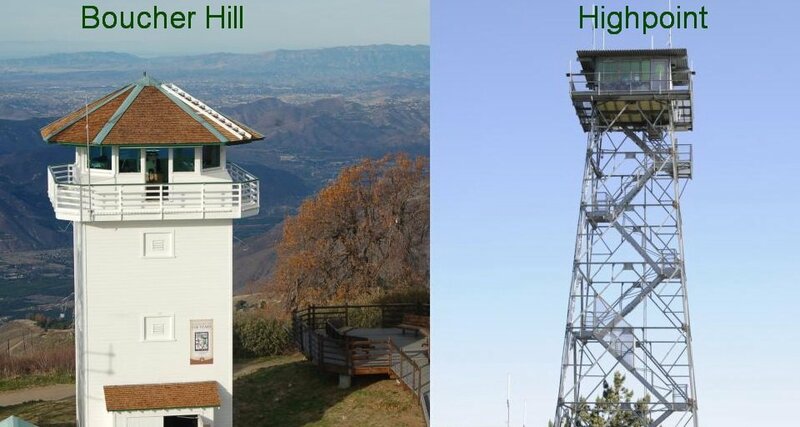 Since that time Boucher Hill Lookout in Palomar Mountain State Park and Highpoint Lookout on the other side of Palomar Mountain, located within the Cleveland National Forest, have been restored and returned to service. See About Us pages for more information. FFLA-SDRC works closely with the United States Forest Service’s Cleveland National Forest which manages extensive land holdings in San Diego and Riverside counties. They work closely with the California Department of Forestry and Fire Protection (Cal Fire) and many Native American and rural fire departments to provide fire protection to these areas. High Point Tower, located on the highest point on Palomar Mountain, provides visual fire detection from the Northeast portion of San Diego County, to the deserts, across Riverside county up into the San Bernardino and San Jacinto mountains and continuing all the way to the coast. Our other facility, Boucher Hill Lookout Tower, lies within Palomar Mountain State Park. It is located on a panoramic point in the Park’s southwestern region and is a California Registered historical lookout. In addition to their fire detection duties, our volunteer lookouts also support Park Rangers as another pair of “eyes and ears”. The Tower is open for public tours whenever one of our FFLA-SDRC volunteers, who are trained as docents of Palomar Mountain State Park, are on duty and isn’t occupied with their major responsibility of fire detection. Come up on a clear day for a magnificent panorama from Mexico, over Downtown, out to Point Loma, past Camp Pendleton all the way to Santa Catalina Island. Friends Of Palomar Mountain State Park is another volunteer organization on the Mountain which also works to increase the public’s perception of the Park. They have numerous projects underway at any time to increase the parks potential.